Joanne Ross Biography - META-Health Academy. Joanne Ross Biography - META-Health Academy. Joanne is a professional Life Coach and Trainer and co-founder of the META-Health Academy. She specialises in helping people to release stress, anxiety and self-limiting beliefs, regain confidence and access their inner wisdom. Joanne offers one-to-one coaching and therapy in areas including setting and achieving goals in life and health, overcoming stress, improving relationships and working with the mind-body causes of health issues. Her personal coaching interests include overcoming negative self-talk, facilitating and empowering people to align with their true purpose, personal development, and helping people to gain a deeper understanding of themselves and others. 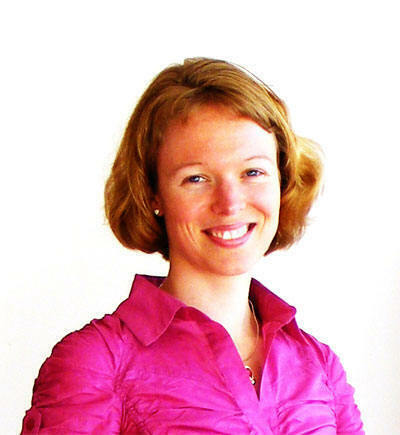 Joanne is particularly enthusiastic about coaching for holistic health. Joanne is a Master Trainer in META-Health and META-Kinetics. As co-director of the META-Health Academy, she offers regular professional courses in META-Health, META-Kinetics and EFT alongside Robert Waghmare. They have spoken at International META-Health Conferences in Germany, Egypt, Estonia and Denmark, and for organisations such as the Federation of Holistic Therapists (FHT) and Association for NLP in the UK. Joanne is an EFT (Emotional Freedom Techniques) Advanced Practitioner, and an NLP (Neuro-Linguistic Programming), hypnotherapy and Time Line Therapy Master Practitioner. In addition to Coaching and Training, Joanne has written many articles on META-Health, wellbeing and personal development, and has a regular column in Choice Health and Wellbeing magazine. Joanne first developed an interest in coaching whilst working in the field of education. She has been involved in tutoring, teaching and mentoring others since her college days. Her roles have included teaching English as a foreign language on the JET programme, a cultural exchange programme in Japan, co-ordinating voluntary work, and teaching humanities subjects in secondary and further education, most recently in the top-graded History department at The Sixth Form College, Solihull. These experiences gave her high-level skills in communication, facilitation, motivating others and coaching for results and have supported her role at the META-Health Academy. Joanne's personal interests include health and fitness, particularly swimming, yoga, working out at the gym and skiing. She enjoys travelling within the UK and overseas. She has acted as a sounding board, offering support to friends and colleagues, for many years, and has been formally coaching since 2004. Her coaching style is calm and purposeful as she seeks to develop her clients’ clarity and intuitive understanding. Her core strengths include determination, insight and enthusiasm for learning and growth.